Rusty grew up in the hills of Kentucky and moved to Fort Lauderdale in 2012. Rusty has recently been working on expanding his real estate portfolio, buying houses and remodeling. This is Rusty’s second year on Harle. 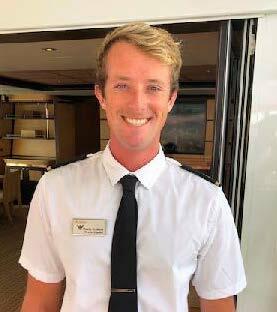 Rusty has a keen interest in motor boating and will be your tender driver during your stay, ensuring you have a smooth and unforgettable ride.